The full title of The Hymnal, of which some account is to be given here, is “The Hymnal of the Protestant Episcopal Church in the United States of America.” The date “1940” which appears on the title-page is the date when the General Convention of the Episcopal Church accepted a report submitted by a Hymnal Commission appointed in 1937. The book was not actually published until 1943, and therefore it remains probably the latest hymnal of any importance to be published. It supersedes books published in 1916 and 1892. Since few-copies of this book have yet reached this country, and few readers are likely to have a copy for reference, this article must include a certain amount of description. The book contains 600 hymns, 100 chants, and 41 other items (mostly settings of the Communion liturgy). The complete edition is a substantial volume of 828 pages, weighing 27 ounces (1 pound less than the corresponding book of my own denomination), and having almost the same measurements as the 1931 Songs of Praise. It can be said at once that the format of the book is wholly admirable. All the details of its production have clearly been carefully thought out. The print is bold and clear, even in the indexes, and the space on the page seems to have been used to the best possible advantage. One point in the question of format is debatable. The words of the hymns are printed with the first two or three verses lying between the musical staves, and any further verses underneath the staves in the ordinary fashion. This method has the advantage of making the hymns easy to read for choristers, so long as the tune set to the given hymn is used. Confusion is bound to arise if a change of tune is required. Perhaps this practice is less common in America than in our own country, but since, according to the Preface, 48 entirely new tunes appear in the book, most of them without an alternative given at the hymn, the possibility of a change being required must be a real one. However, the whole effect, provided you use the prescribed tune, is clear and easy to follow, and there is a good deal to be said for it. The arrangement of the hymns is sensible, though not ideal. The background of the Hymnal makes it appropriate that one large division of the hymns shall follow ‘the church’s year. The first 111 hymns do this. Then follows a central section containing hymns for saints’ days, special occasions, particular ordinances of worship, and children’s hymns. The third section—from 266 to the end (56 per cent, of the whole book) is called “General Hymns.” In the first two sections appear only hymns that would be inappropriate apart from their prescribed season; but at the end of each small section, abundant cross-references to the third main section are given. There are 364 such references in the two sections. The General Section is classified, and there is at the end of the book not only a Table of Contents for this section laid out under 10 headings and 43 sub-headings, but also a Topical Index for the General section, under 74 headings and subheadings. These indexes make the choosing of hymns a reasonably easy matter, and in their thoroughness and clarity of presentation are an example to modern editors. Another useful index, incidentally, is an index of hymns suitable for use as anthems, citing 34 hymns. With the help of the indexes, this arrangement makes the book easy to use. Only one canon of the ideal arrangement is broken: that which rules that there should be a sufficient reason why each hymn stands where it is and in no other place. The hymnals coming nearest to this ideal are those which arrange their hymns alphabetically in the sections; this practice is only objectionable to the pedantic inasmuch as the arrangement depends on a purely accidental attribute of each hymn, and not on a property. A chronological arrangement by authors within main sections (followed, I believe, only in Farmer’s Hymns and Chorales and there without any subdivisions) is perhaps the best of all. But this is a small point. The contents of the book show much that is familiar to us. Of the 600 hymns, 306 are in The English Hymnal, 277 in Songs of Praise, and 275 in The Methodist Hymn Book. More interesting, perhaps, than these figures is the fact that as many as 266 hymns are in the 1916 edition of Hymns Ancient and Modern, a book which usually lags further behind in comparison with other modern books. If, after having been brought up on the Anglican books of my own country, I had to live with the book, I should be fairly happy. I should miss with some surprise “Through all the changing scenes of life,” “The race that long in darkness pined,” “There is a book,” “O happy band of pilgrims,” “Jesus, where’er thy people meet,” and “Praise the Lord, ye heavens adore him.” Personally I should also deplore the absence of many more—“My song is love unknown,” “Give me the wings of faith,” and “Christian, seek not yet repose,” among them. I should also be surprised to see “Mine eyes have seen the glory” left out, although personally I should not miss it. From dust and darkness and the dead. Brethren of Congregationalism, what does this mean? Some further idea of the range of choice from hymns known to us will be given by the following figures for authors represented: J. M. Neale, 39 (including many office hymns); the Wesleys, 20; Isaac Watts, 11; Caswall, Dearmer, Ellerton, and Wordsworth, 9 ; Mrs Alexander and Robert Bridges, 8; St Thomas Aquinas and G. W. Briggs, 6. The fact that both Wesley and Watts are less in evidence in this book than in Songs of Praise will, in the language of newspapers, give pain to many! One or two points of criticism ought to be recorded. The editors have manhandled the words of the hymns occasionally, with unhappy results. “Before the Lord Jehovah’s throne” is a pity. Omissions of verses are frequent; the first three verses of “Lord, it belongs not to my care” are missing, as is verse 3 of “Jesu, lover of my soul,” and in “Rock of Ages,” lines 1 and 2 of verse 2 and the last four lines of verse 3. “Guide me, O thou great Jehovah” becomes a hymn of 4 four-line verses, set to ST OSWALD. “O Spirit of the living God” has lost its fourth verse, and the first line of the fifth is altered to “Convert the nations,” with a sad blunting of the sense. It seems to me to be a real matter for criticism, too, that only two of Ray Palmer’s hymns are included, none at all of Catherine Winkworth’s, and two of Baxter’s, one altered and the other abridged. However, we must take any hymnal as we find it and not give the impression that we could have edited it better. On the musical side, it is fair to say that the Hymnal is not so interesting as it is on the words-side; but it is by no means negligible. Most of the great and familiar tunes are there, of course, but it seems that certain opportunities have been missed. For the 600 hymns there are 609 different tunes, and 719 printings. Twelve are used three times, two are used four times—REGENT SQUARE and ST FLAVIAN. The compass of the book is restricted, of course, but one feels that some of these repetitions could have been dispensed with in order that other great tunes might appear. There is a strangely small number of C.M. 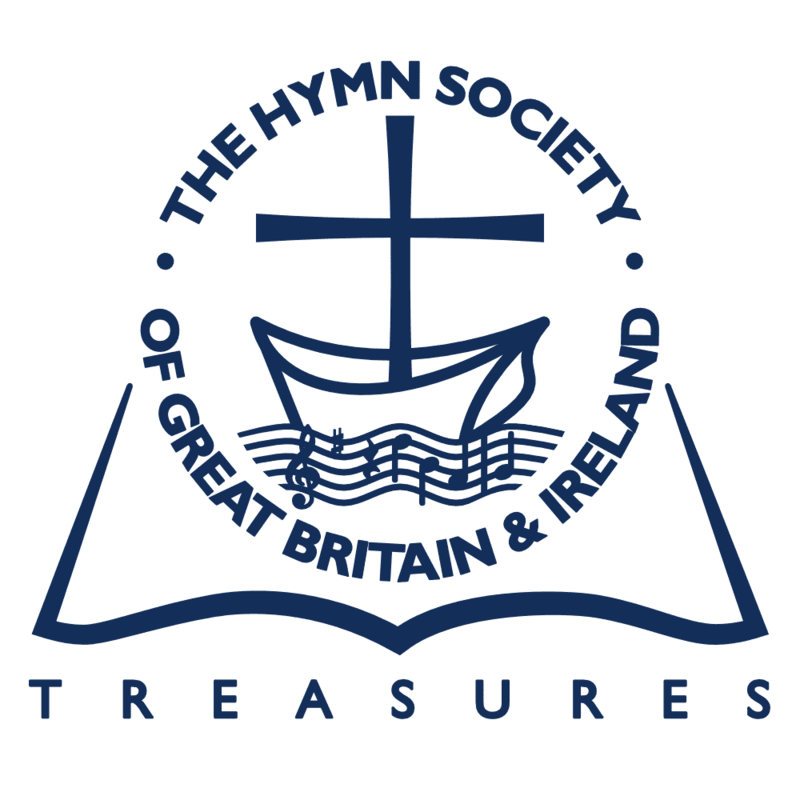 hymns in the collection—85 hymns and 64 tunes. (Songs of Praise has 104 tunes. The Revised Church Hymnary 105, in this metre). This means that many great old Psalm-tunes are omitted, like ABRIDGE, ST DAVID, STROUDWATER, MANCHESTER, and BYZANTIUM. Other notable omissions are GELOBT SEI GOTT, WARRINGTON, and MARCHING. I am sorry that ALBERTA (“Lead, kindly light”) has not found its way to the States yet, and that Americans cannot sing THORNBURY, which I am sure they would love. But there is much to be said for the quality of the music that is there. Neither ARIZONA nor RIMINGTON is there; very little concession is made at any point to the sentimentalists. There are one or two real crashes, but in the main the standard is high. There is a good deal of Plainsong (32 tunes), and Bach has 16 tunes. Smart and Sullivan have twelve each, Geoffrey and Martin Shaw 17 between them, Vaughan Williams (including arrangements), 16. Dr Dykes has 27, so he must not complain. The new tunes are interesting, all of them, but not uniformly successful. In fact, I do not think there is a single case of a composer producing a tune so persuasive that it strikes the hearer as inevitably the tune to the words to which it is set. The nearest to this, I think, is achieved by a tune by Graham George to “Ride on, ride on in majesty”—a difficult hymn to set to music, of course. The tune is in F minor, broad and majestic, with effective deviations in the rhythm. But after living with it for a little while I am not so sure as I was, that the right tune has been found at last. Another hymn that baffles composers is “Eternal Light”; Kenneth Runkel has a tune to this hymn, but it is less successful than that just mentioned. GEORGETOWN, by David McK. Williams, is a charming C.M. in free rhythm, F. major, and Franklin Glynn’s WOKING, L.M., gives a broad triple measure in B fiat. TREGARON (D.C.M.) represents uncompromising modality, and LYNCHBURG (C.M., E flat) employs some slightly exotic harmony which makes necessary unison singing. Some of these tunes cannot be judged properly without hearing a performance, but the general impression given is that many of them are frankly experimental. Of tunes published before, I am glad to see Dr Ley’s RUSHFORD to “Fight the good fight,” C. S. Lang’s ST KEVERNE and also the original version of the German chorale CRASSELIUS (in our Revised Church Hymnary, 377). There are one or two curiosities. There is an astonishing re-hash of KNECHT or BARTON, in 76.76 D, in D major. I cannot call it an improvement. “The spacious firmament” is set to an arrangement of “The heavens are telling” from The Creation; the tune appears in the key of A flat. Sohren’s GUTE BAUMEN BRINGEN (S.P. 466) is rewritten, in C minor, and the result makes a tolerable tune for “Christian, dost thou see them.” But then, so does the tune as we knew it before. There arce one or two real full-blooded Victorian tunes, such as Horatio Parkers MOUNT SION and G. C. Martin’s ALL HALLOWS, which show at least a good splash of animal spirits and are vulgar in a rather engaging way. PENITENCE, by Spencer Lane (1875) to “In the hour of trial” is a real gaffe, and so is Barnaby’s MERRIAL, to “Now the day is over.” The tune we know as ASCALON, or CRUSADER’S MELODY appears in a different metre here—568.558, and, sung slowly, could be almost impressive in its new guise. The collection is certainly not overburdened with tunes of any single type. Some or us would want more Genevan psalms (eight are given), some more folk-tunes, but on the whole the selection is well-balanced. As with the words, a certain type of sentiment is fairly sternly excluded. There are only a very few tunes of the “Sankey” type, and a very few of the LUX BENIGNA type. One thing that strikes a reader forcibly is the remarkably low pitch to which the tunes are set. In the main the book takes as its standard a pitch half-a-tone lower than that set by The English Hymnal and kindred books. It is a distinct shock to see ST ANNE in B flat, LITTLE CORNARD in D, NUN DANKET and ANGELS’ SONG in E flat, and STRACATHRO and ST FULBERT in D flat. Most English editors would consider that this was taking comfort too far! Finally, it remains to estimate the contribution which this hymnal makes to contemporary hymnody. In particular, having already drawn attention to new tunes and words which it contains, I would mention certain outstanding needs and the Hymnal’s response to them. Children’s Hymns:—The section for Children comprises 18 hymns, and there are 17 cross-references to the body of the book. As children’s sections go, it is a good collection, without being distinguished. It avoids mawkishness and overuse of the word “little.” It also avoids preciousness; it supplies two hymns which we “on this side” would not know—F. J. Moore’s “Father of mercy, Lover of all children,” which seems to be excellent as a prayer made by children for other children, and Lesbia Scott’s “I sing a song of the saints of God”—an interesting but unequal production, with some stirring and musical lines, and here and there a sudden descent into rather over-colloquial language which is embarrassing. I miss Jan Struther’s “When a knight won his spurs,” which surely is all that a children’s hymn should be, and its absence is the more surprising in that three of her other hymns are in the book. “Advent tells us Christ is near” is the weakest of the children’s hymns given here,—otherwise the section is rather like the children’s section in Songs of Praise, shorn of its more distinctive inspirations. In other as yet ill-supplied sections the Hymnal does well, but it does not give us much that is both new and valuable. Kipling’s impressive “Non nobis Domine,” written in 1934, is there, probably published as a hymn for the first time. “O God of earth and altar” is nor forgotten, nor “Rejoice, O Land,”—both set as in Songs of Praise. A few new hymns appear in this part of the book and in that dealing with man’s social obligations, including one by Harry Emerson Fosdick himself; but it is early yet to assess their value, and they might turn out to be rather limited in their usefulness. To sum up—for this has gone on quite long enough—we have here a useful, well-turned-out book which maintains a high standard in words and music, and which any Christian of any denomination could use with profit. The perfect Hymnal has not yet been issued, and will nor be this side of Judgement Day, but those who love hymns must be grateful to the compilers of The Hymnal for their thoughtful and satisfying work.